Someone at Telltale Games is having a very bad day. 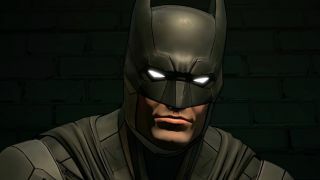 The company has now responded to the discovery that the latest episode of its game Batman: The Enemy Within uses a photograph of the body of Andrei Karlov, the Russian ambassador to Ankara, just moments after he was shot. "An update to the game has been submitted this morning that will be removing the image across all platforms." it said in a statement to Gamasutra. "We regret this incident occurred, and we are taking appropriate action internally to ensure that we continue to maintain our high standards in Production and Quality Assurance." The image was discovered and shared on social media and shows Karlov's body superimposed onto a scene of a robbery at Gotham brokerage. The photo is one that can be found on image library Getty, and costs around $575 to licence. The image was almost certainly mistaken by an unnamed developer for a stock photo, or intended to be used as reference and swapped out at a later date. At least you would hope so. Karlov was assassinated by a Turkish policeman while speaking at an art gallery in Ankara, Turkey in December 2016.